We are proud and excited to invite you to visit us at PAN Amsterdam 2017. 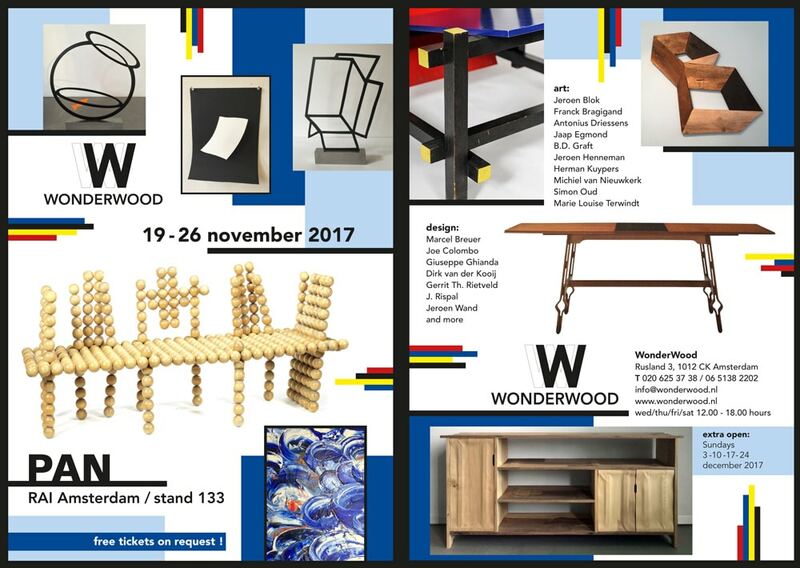 For the seventh time WonderWood Amsterdam is participant of this wonderful and exclusive art fair for for Antiques, Modern Art, Design and Vintage Furniture. We welcome you at RAI Amsterdam fair booth number: 133. We will be presenting a selection of vintage plywood furniture. We as well carefully selected wonderful pieces of modern art of Dutch artists, young -and established international designers. High collectable pieces, good investments and timeless eye-catchers for life.